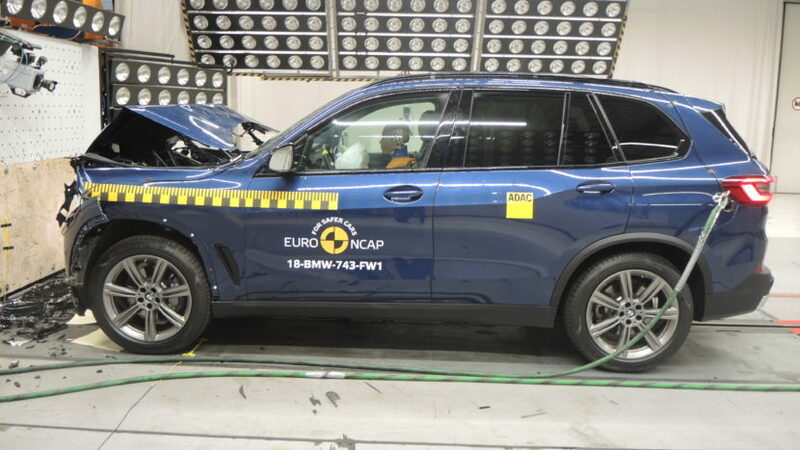 The new BMW X5 G05 has just received five stars in the Euro NCAP crash test. With a whole armada of safety and assistance systems on board to protect its occupants and pedestrians from an accident, the new G05 X5 has managed to impress the European safety legislators. 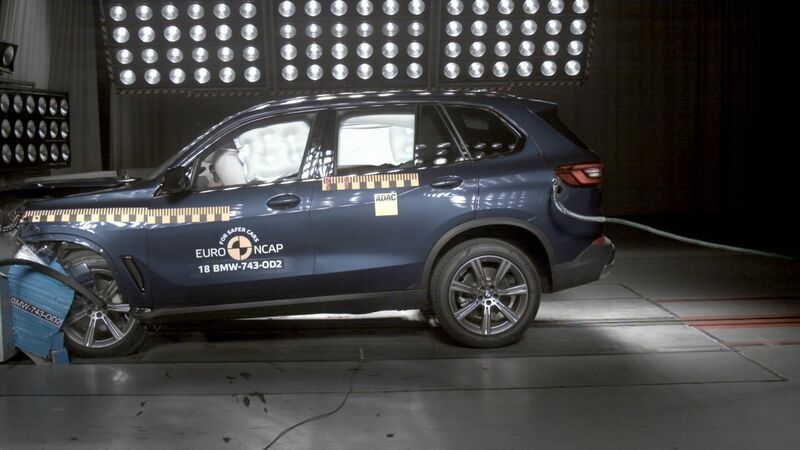 The luxury SUV has met all criteria for the full five stars and was tested in various accident scenarios showing that it can protects its occupants even in a violent crash. Independent testers rated adult occupant protection at 89 percent, confirming that they are well protected in an accident. The highest loads occur, as usual, in the two side impact scenarios, in which only very little crumple zone can be used to dampen the energy impact. Nevertheless, the BMW X5 G05 was able to score the full rating in a side impact against a barrier. The testers criticize, however, that the knee airbag for the driver of the BMW X5 G05 has not worked in all scenarios, as expected. For this purpose, the SUV has gotten some point deductions for the protection of the knees and thighs, otherwise an even higher rating of occupant protection would have been possible. The devaluation means that the protection of knees and thighs on the passenger side was rated better than on the driver side – because there is no knee airbag installed anyway and the measured values ​​were not corrected downwards in the sense of a penalty. The protection of children in the car is rated very high with 86 percent. 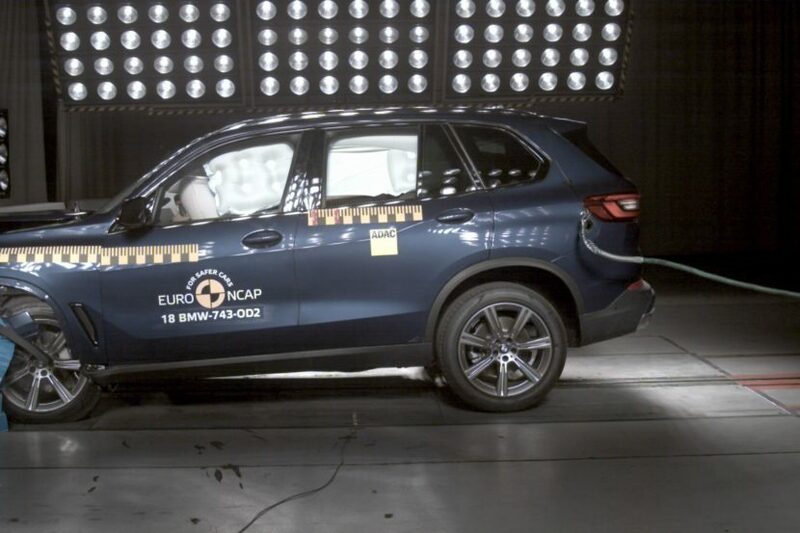 In the crash tests, the BMW X5 G05 scored 23.9 out of 24 possible points, but there were deductions because Isofix and i-size attachment points. The corresponding seats are installed only on the outer rear seats, neither the seats of the third row nor the middle rear seat or the front passenger seat are therefore suitable for the child seat attachment. The pedestrian protection was rated by the testers with a good 75 percent. The assistance systems for recognizing pedestrians in front of the vehicle were rated very good with 12 out of 12 points. For the entire category of security and assistance systems, the testers also gave the new X5 a 75 percent raging. 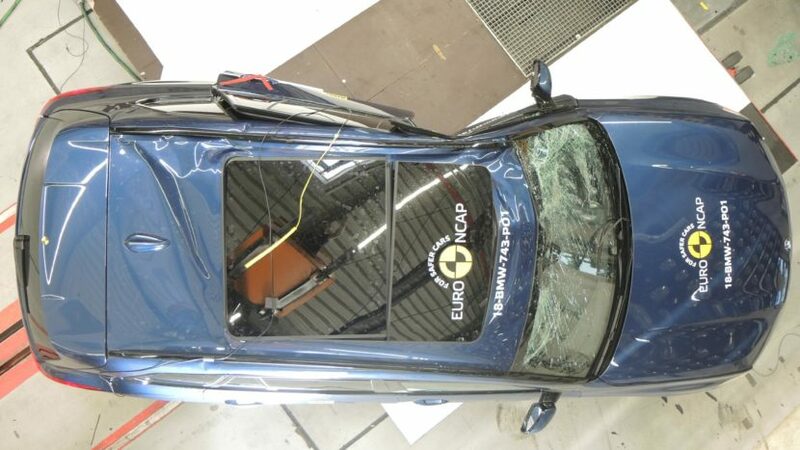 More information on the test can be found at Euro NCAP.